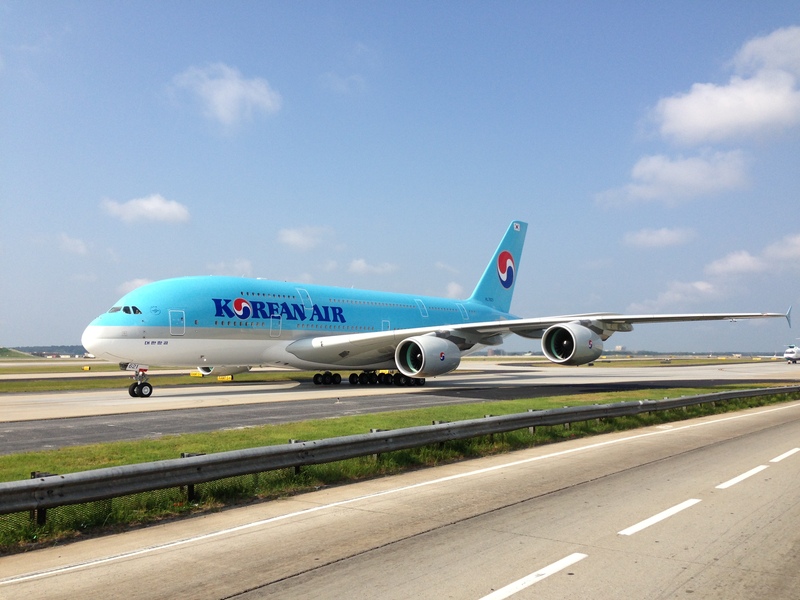 We had the pleasure to speak with AJC aviation reporter Kelly Yamanouchi recently to discuss aviation and the arrival of the Korean Air A380…the world’s largest passenger plane. Here is the article. Thank you Kelly for helping us to spread the word on how truly wonderful aviation is. Airport workers stopped their tugs to watch. Catering employees came out to take a look. A child atop the Terminal South parking garage stood on a cooler for a better view. Dozens of adults pulled out their cameras and smartphones to capture a piece of history. And, yes, time stood still. At least, that’s how it felt to Sylvester Pittman. “It was almost as if traffic sort of stopped for a moment as that plane came in,” Pittman recalled, savoring a moment that, for him and Atlanta’s legions of av geeks, had been a very, very long time coming. And yes, that’s av geeks — short for aviation geeks, the tribe of airplane connoisseurs for whom last week’s arrival of the first Airbus A380 to fly into Hartsfield-Jackson was almost a religious event. You see, for av geeks, an airplane is more than just a mode of transportation. It’s a fabulous machine. A technological wonder. A thing of beauty. The super-jumbo Airbus A380, the world’s largest passenger plane, has been flying around the world since 2007. But the world’s busiest airport was not on its itinerary, much to the frustration of Atlanta’s av geeks. “It seemed like it was never going to become a reality,” Pittman said. The day finally arrived exactly one week ago when a Korean Air flight from Seoul touched down. As you might expect, Atlanta’s enormous aviation industry supports a strong, close-knit community of passionate av geeks. Pittman and his friend Darin Topham, both former Delta employees, run a website called airlineguys.com targeted at that community. These are folks who track flights online and on apps, following them around the world as if the planes were celebrities. They travel to other cities just to hang out at the airport and watch planes take off and land. Sometimes they’re stalking a specific plane, like the A380 or the Boeing 787 Dreamliner. Sometimes they’re content to watch any plane, every plane, all the planes they can. Av geek Chris Byington grew up in Washington, D.C. watching the Concorde come and go. On Wednesday he watched the A380’s second landing in Atlanta, marveling at how he could smell the jet fuel and see the grass ripple from the engine blast. Pittman has flown to Los Angeles and Washington to indulge in plane spotting. Wilson likes to travel to the Caribbean island of St. Maarten to watch planes fly directly over her head on a beach near the airport. Craig Campbell, an ExpressJet dispatcher who took photos of Wednesday’s A380 touchdown, flew to Boston this weekend to embark on a plane-spotting cruise. It doesn’t take an av geek to understand the fascination of a behemoth like the A380. But listening to them talk planes is like listening to wine snobs wax poetic over rare vintages. The 777? “Always a delight to see,” Pittman said. OK. Maybe non-geeks will see what he means once the 787 arrives in Atlanta, an event for which no date is yet set. Pittman’s affection for planes was kindled when he took his first airline flight in the summer of 1981 at the age of 16. That summer, he also toured the Atlanta airport’s new terminal complex, which had opened the previous fall. He knows that when most people think about air travel, they think of the delays, the security hassles and the baggage fees. But in the community of av geeks, “We also still embrace the wonderment about what aviation is all about,” Pittman said. 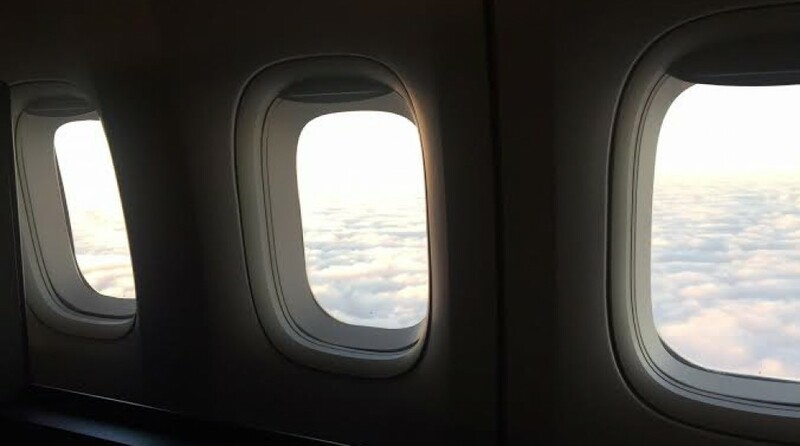 This entry was posted in Uncategorized and tagged airlines, airplanes, airports, atlanta international airport, avgeek, avgeeks, aviation, aviation friends, crewlife, hartsfield jackson atlanta international airport, korean air. Bookmark the permalink. Hi Mark — Thank you for contacting us regarding the use of the Korean A380 picture. Please contact me at airlineguys@gmail.com Thank you in advance.